The design itself © 2018 – 2019 by Waxcreative Design, Inc. If something on this site is looking weird, or if you clicked on a link and came to a 404 error page, we want to fix it. Please email the details to Karine's web team at alert@waxcreative.com. If it's a bad link be sure to tell them what page you were on and where you were hoping to go. Karine Saint Jacques will never share or sell your information with anyone… period. Newsletter and Site News lists: All information collected from this site is used only by Karine. The e-newsletter list data is stored via the third-party Mailerlite and is managed by Karine, and the Site News list data is collected and stored via the third-party Feedpress and managed by her web design team. Data is not ever sold to a third party or made available for sale. The information collected, such as your email address, is stored in order for Karine to communicate directly with you. She may send you emails containing newsletters, promotions, and special offers. If you do not want to receive such email messages, you will be given the option to opt out or change your preferences. The opt-out opportunity is presented at the bottom of every Newsletter and Site News email (two separate lists) you receive. Clicking on that link will remove you from that particular list. Ordering links: Please note that if you purchase a book through a link on this website or associated social media pages, your purchase will be handled by the vendor you select (e.g., Amazon, Kobo, Nook, Apple, Google Play) and they maintain their own separate information about you that is NOT shared with Karine. 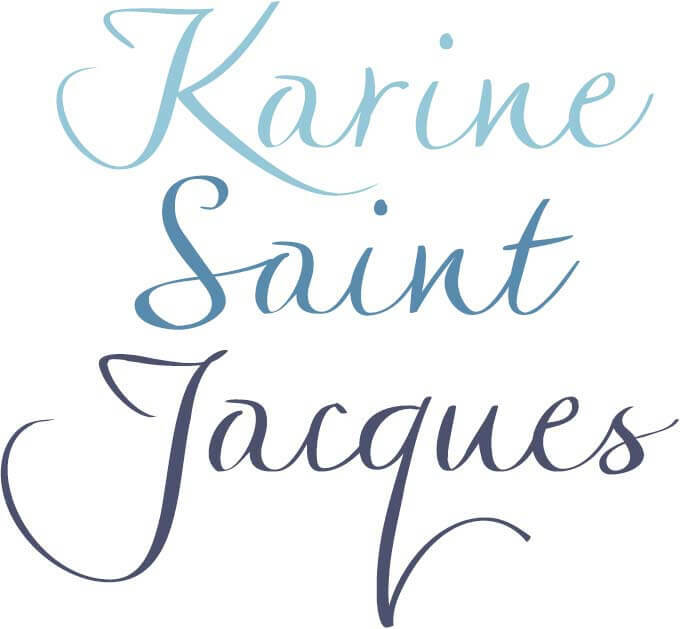 Social Media: If you use a third-party connection, for example, through Facebook or Twitter by “following,” “liking,” Karine Saint Jacques pages, that third party may pass certain information about your use of its service, but note that KarineSaintJacques.com itself does not collect or retain any of this information. You should always review, and if necessary, adjust your privacy settings on third-party websites and services, like Facebook, Twitter, Instagram etc. before using them to link to other places. Analytics information: Karine and her web team may directly collect analytics data, or use third-party analytics tools and services, like Google Analytics, to help measure traffic and usage trends for her web pages, email newsletters, promotions, and social media connections. These tools collect information sent by your browser or mobile device, including the pages you visit and other information that assist in improving your user experience. This analytics data is collected and used in aggregate form such that it cannot reasonably be manipulated to identify any particular individual user. Log file information: KarineSaint Jacques.com is routinely monitored/scanned for virus checks, malware identification, etc., in order to keep it a secure site. As such, log file information is automatically reported by your browser or mobile device each time you access the site, and the server automatically records certain log file information. These server logs may include anonymous information such as your web request, Internet Protocol (“IP”) address, browser type, referring / exit pages and URLs, number of clicks and how you interact with links, domain names, landing pages, pages viewed, and other such information.